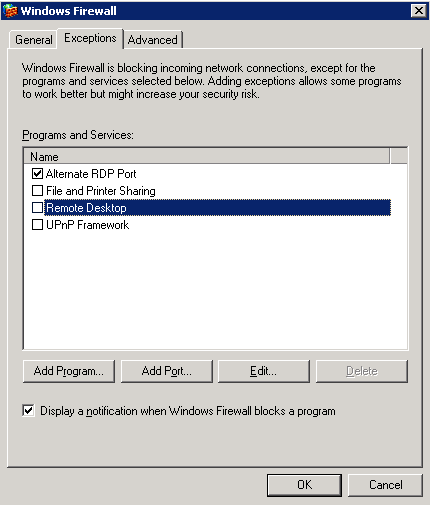 Warning: Changing the default RDP port should be used as an addition to normal server security measures - not as an alternative. 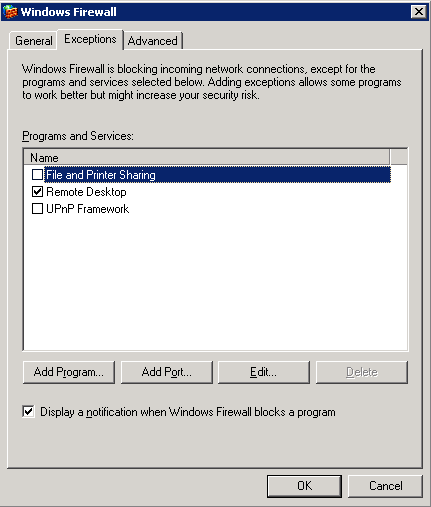 Warning: making these changes will prevent the default RDP file for your VPS(found in mPanel) from connecting to the VPS unless it is modified. If you are not sure you understand the changes being made, please back up your VPS first, or don't change anything. 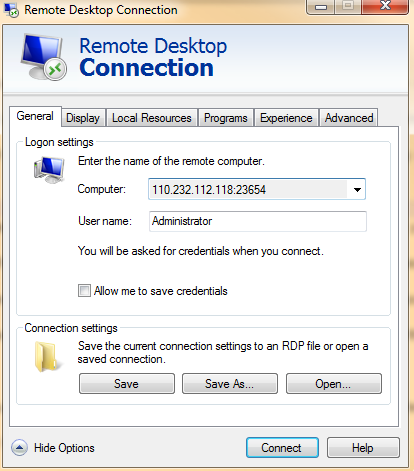 1.4 Click the Save button in the 'Connection settings' section just below where you entered the VPS IP and new RDP port to use. 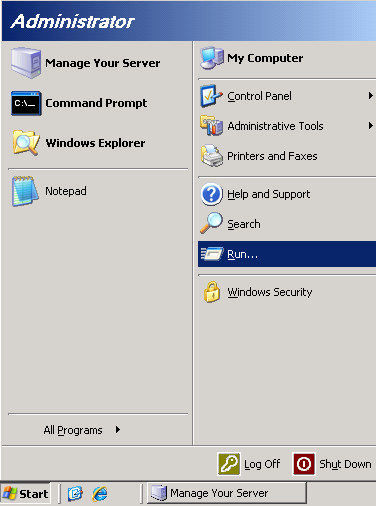 2.2 Click the 'Exceptions' tab in the Windows Firewall window. 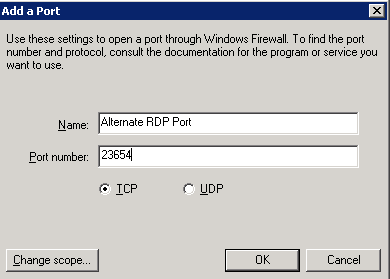 2.3 Click the 'Add Port' button to bring up a new configuration window. Note: If you will only be accessing your VPS from a static IP address(or addresses), you can add the IP address in the 'Change Scope' section using the 'Custom List' option for additional security. 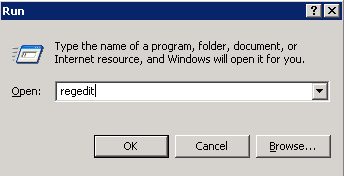 3.1 Open the registry editor on the VPS by clicking the Start menu, go to Run... and type in 'regedit' (without including the quotation marks) and click OK or hit the enter key. 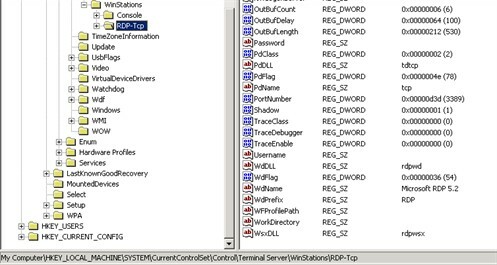 3.2 In the registry editor, navigate to the registry key 'HKEY_LOCAL_MACHINE\SYSTEM\CurrentControlSet\Control\Terminal Server\WinStations\RDP-Tcp'. 3.3 Scroll down the right side of the window and double-click 'PortNumber'. 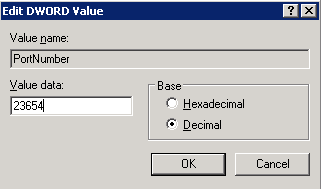 3.4 Select the 'Decimal' option in the Edit DWORD Value' window. 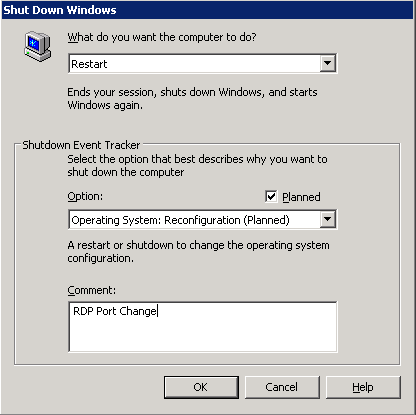 4.2 Once mPanel indicates the VPS is back online and responding to pings, double-click the RDP file previously edited in Part 1. of the guide. A security warning dialogue will open. 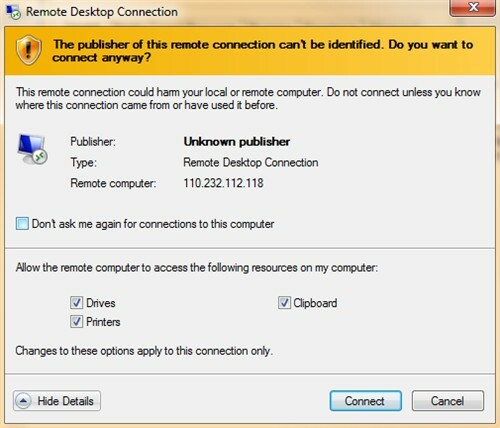 Check the 'Don't ask me again for connections to this computer' box to prevent this popping up each time you want to connect to your VPS, then click Connect. 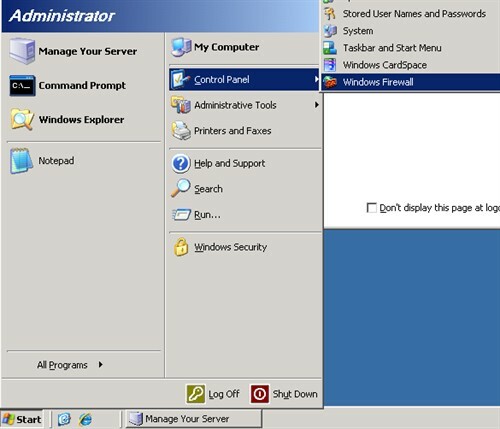 4.3 The VPS desktop login dialogue should appear if the change was successful. 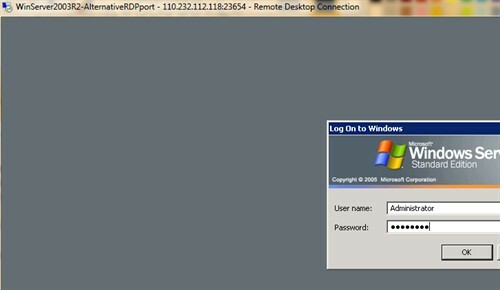 You should notice the port number in use is displayed in the window title. Enter your VPS login credentials and check your VPS' desktop is as you left it.